Saturday we headed out on the Independence to the SAM BERMAN, which is one of the less frequently visited artificial wrecks on the Shark River reef. 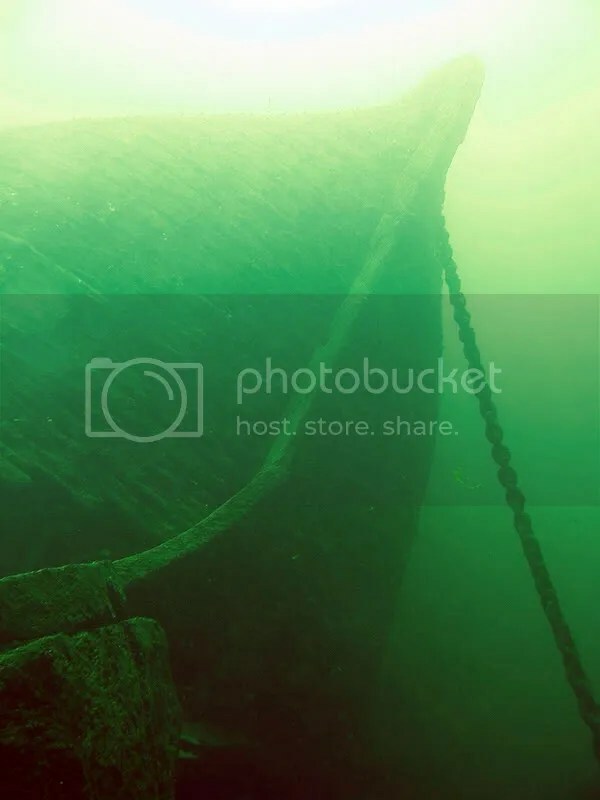 The wreck is a small tanker, 160′ in length, and sits upright and intact in 130 fsw. 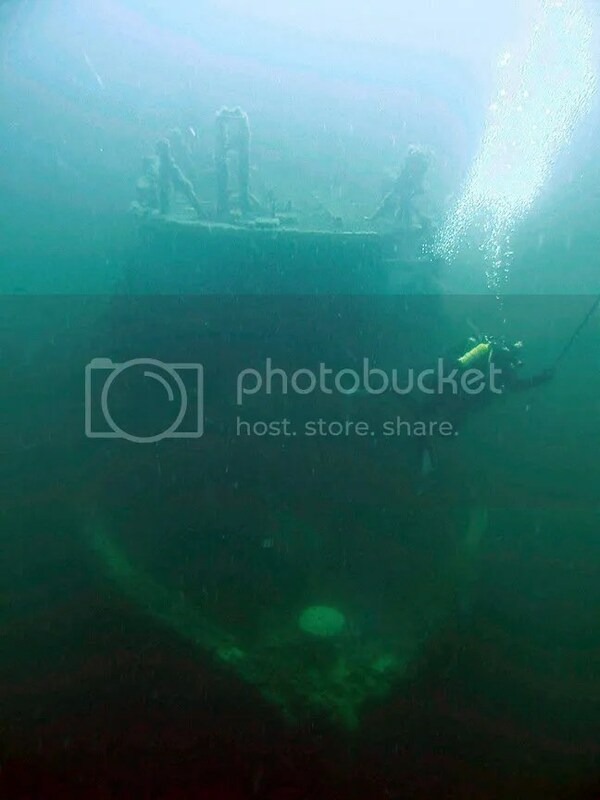 Had a nice 30 feet of visibility on the wreck with not much marine life to speak of. Lots of derelict lobster pots on the wreck including some high up in the superstructure. 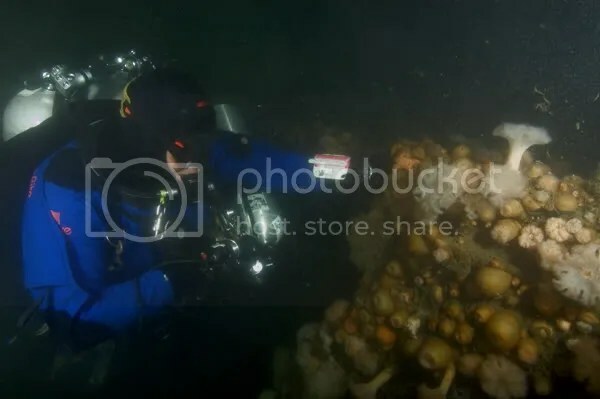 It was in the high 40s on the wreck and the thermocline wasn’t until right around 20 feet which made a a chilly deco after a long leisurely dive exploring this old girl inside and out. All in a all a great day, especially considering if you had listened to the weather man you probably didn’t even go out. 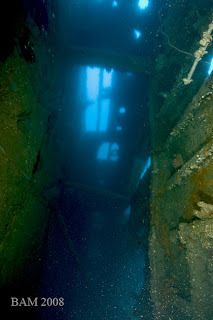 Today we hit the stern section of the torpedoed WWII tanker GULF TRADE (90 fsw). Capt Jim of the Gypsy Blood was nice enough to let us tie up to his stern, and we even committed high seas piracy and got some refreshments including Helen B’s famous pierogies for our spoils. Again, pea soup on the surface, but the vis opened up nicely on the bottom to 20-25 feet. A few lobsters came up and the wreck was loaded with fish, both sea bass and tog. Another fantastic weekend at sea!